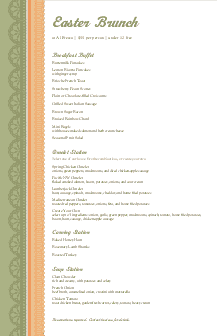 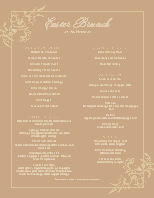 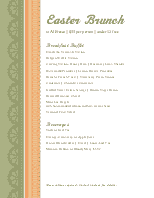 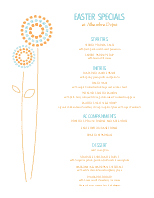 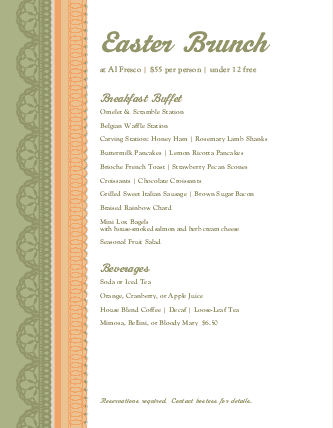 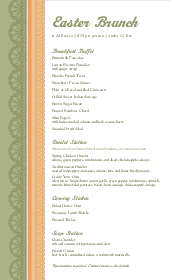 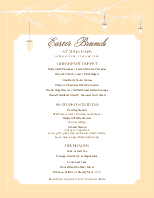 This Easter brunch buffet menu features a side border reminiscent of lace on the left, presented in orange and green on a 8.5 x 11 page. 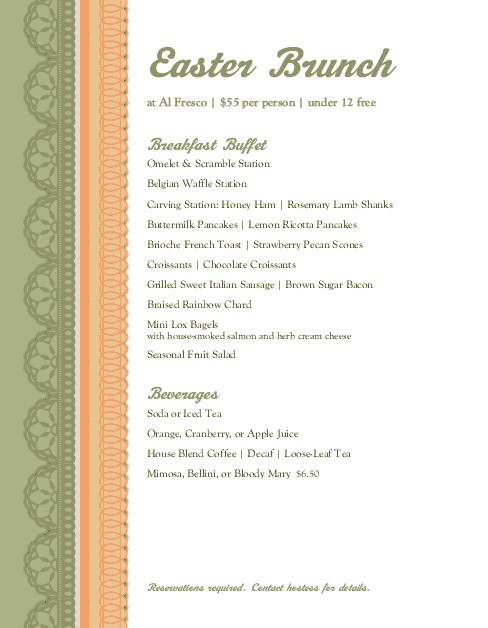 The Easter food selections run down the center of the page, with light green menu section headers. 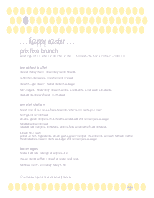 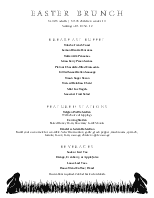 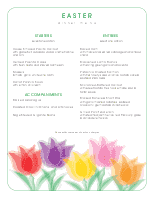 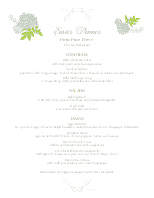 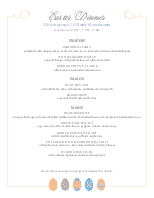 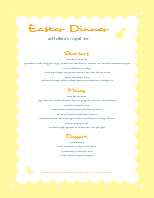 This Easter menu can be updated online using the Menu Editor, our menu software.